Love beauty trends, like to read, travel and cook & bake! Enjoy crafting with my granddaughter, and sampling free products to review. 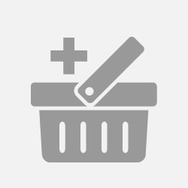 New beauty products and household items excite me. I like to tend my small garden and love colourful flowers! I also am a hockey fan so like to root for the HABS! What's your must have makeup item? What's your favorite type of nut? Degree Motionsense Dryspray Ultraclear Black + White 48HR Protection Recommended? You Betcha! 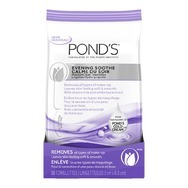 Pond's Evening Soothe MoistureClean Towelettes Recommended? You Betcha! Rubbermaid FreshWorks Produce Saver Recommended? Fugheddaboutit! French's Tomato Ketchup Recommended? You Betcha! Balea Face Masks Recommended? Fugheddaboutit! Purdy's Chocolatier Recommended? You Betcha! Know Cosmetics No Bare Brows Recommended? You Betcha! Le Petit Marseillais Extra Gentle Shower Crème in Orange Blossom Recommended? You Betcha!